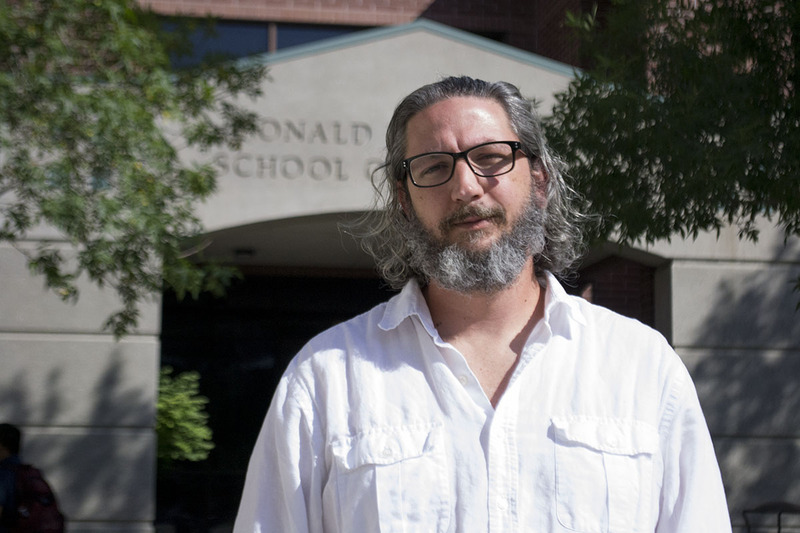 The Reynolds School of Journalism welcomes Ezequiel Korin to its faculty as an Assistant Professor of Spanish Language Studies. Korin will play an instrumental role in the development of the Reynolds School’s forthcoming Spanish Language Media program. Korin has almost 20 years of experience in communication field, both conducting research and working in the industry. After receiving both his bachelor’s degree in Mass Communication and MBA in Venezuela, Korin returned to the United States and earned his Ph.D. in Mass Communication from the University of Georgia. This semester, Korin is teaching the graduate level Multimedia Storytelling II in addition to leading a lab for the undergraduate advanced reporting course. He will also play a pivotal role in defining and creating the forthcoming Spanish Language Media track. Korin finds coupling his 20 years of experience in marketing research, journalism and audio/visual production in Latin America with his academic research leads to a more nuanced understanding of media. He said this understanding is vital for students as they learn the tools they will need to succeed in the workforce. Most recently, Korin’s research is focused on online media and computer media communications.However, he’s looking to drive his research closer to the Spanish Language Media program as the program develops and matures, but is always finding ways to bring theory and practice together in the classroom. But it is the prospect of contributing to the development of a journalism program geared toward a bilingual and culturally informed journalistic practice that is the most exciting. Citing his background in both the United States and Venezuela, Korin expounded upon how the influence of nationality and identity inform worldview. For more information about Korin or the undergraduate and graduate program offered at the Reynolds School of Journalism visit journalism.unr.edu.